English wine and Welsh wine has come a long way in the last 20 years. Major investment has produced centres of excellence in production, important tourist locations as well as an important viticultural training centre at Plumpton College in Sussex. Since 2000, large hectarages of sparkling wine grapes have been planted in Sussex, Hampshire and Kent, and are now featured as their own region in this guide. 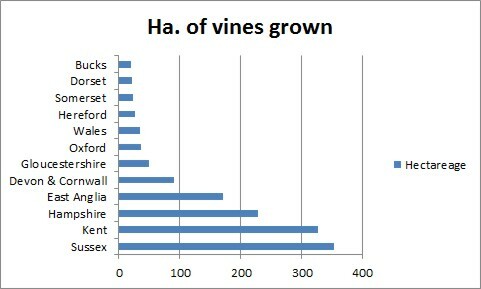 By 2012, the range of English sparkling wine on the market will probably exceed that of still wines. The northwards march of viticulture proves that latitude, whilst significant, is not critical to vinegrowing.New varieties have greatly assisted viticulturalists. England's most northerly commercial vineyard is currently Ryedale near Malton in Yorkshire, where the right grapes and a sheltered site show what can be achieved. In the west, Ynys Mon is the furthest northern outpost for Welsh wine. This website provides access details for the majority of Welsh and English vineyards, together with suggested tourist routes and wine-and-food matches. 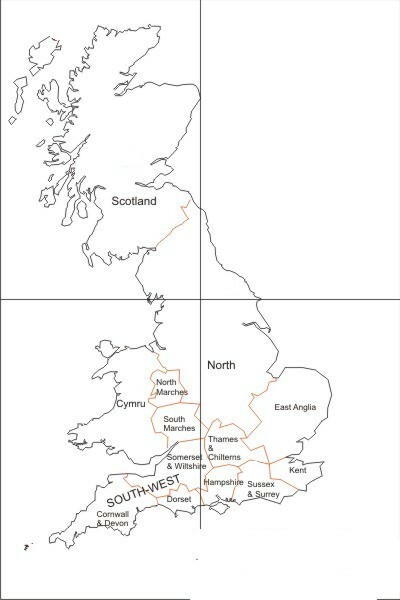 The UK national organisation for vineyards is WineGB, which is financed entirely by its member vineyards. Where to find specified vineyards. Note that many new sparkling wine vineyards are only shown on the Sparkling wine entry on the Menu. Many Organic vineyards are shown both in the Organic entry and also MAY be shown in their appropriate region. Please note that some vineyards may have closed. the author would be grateful if readers finding such entries could provide a list, so that they can be removed.